I’ve moved to Macomb, IL to teach full time as a member of the English faculty at Western Illinois University. 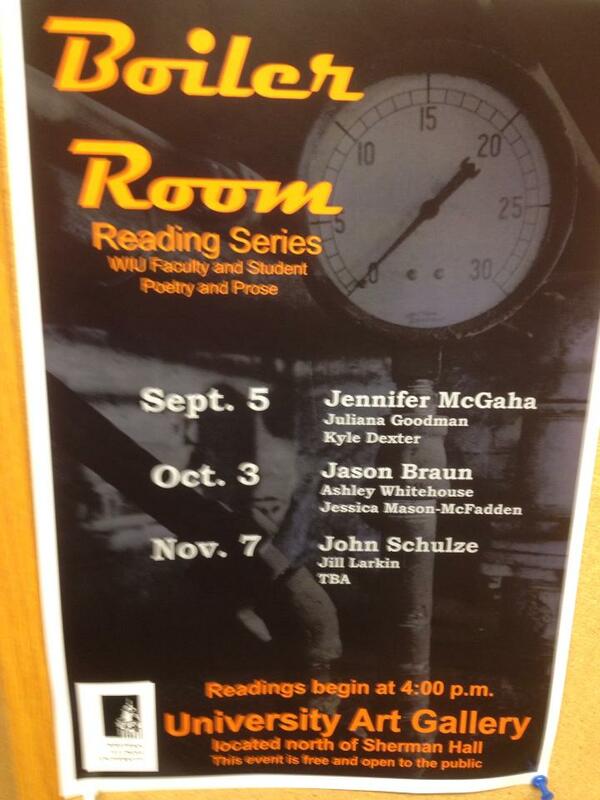 If you happen to be in the area on October third, please come by the reading in the University Art Gallery. I’ll have CDs, jokes, and smiles for everybody. And I’ll do my best to keep it from becoming too serious. This entry was posted on September 26, 2013 by Jason Braun. It was filed under Uncategorized and was tagged with jason braun, poetry, western illinois university.